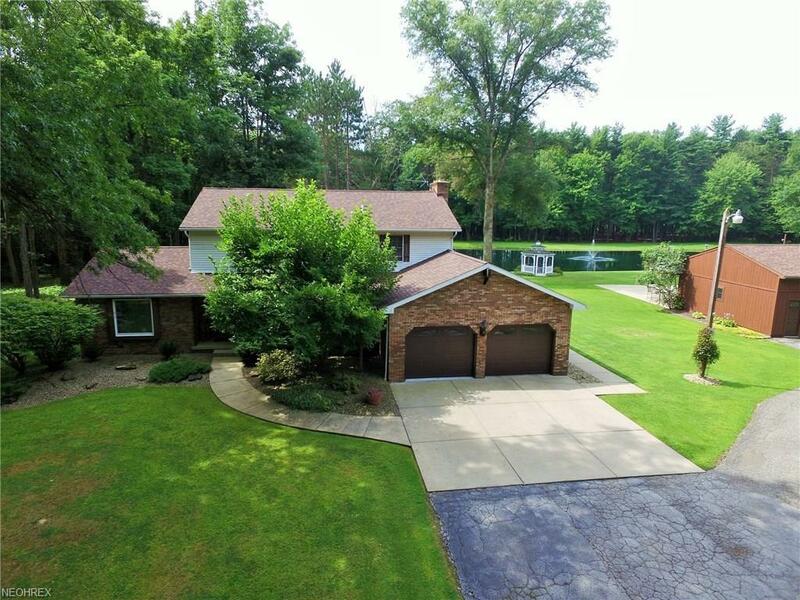 Absolutely Phenomenal 4 Bedroom 3 Bath Home Situated on over 30 acres with an Enormous Pond!! This is a nature lovers dream! Yard features a gazebo, basketball court, personal camp site with playhouse in the woods. Two extra garages: 24x48 pole barn and 26x30 Two car garage. Patio overlooking the large pond. Both the Living room and master bedroom have a gas fireplace. Full finished basement. This property also includes free gas. Seller to retain mineral rights. Call today for a private showing!! Courtesy of Vayner Realty Co.